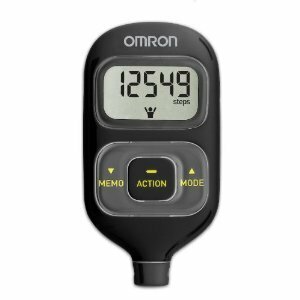 This powerful pedometer weighs just 2.38 ounces and is smaller than a credit card (3.03 x 1.10 x .49 inches). It fits just about anywhere and is fully functional in a shirt or pants pocket. It also has an included strap and clip that make it easy to secure to your body or clothes.